NJ Turnpike South to Exit 7A. Keep left and take Rt 195 west toward Trenton for approximately 10 minutes. Rt 195 turns into Rt 29. Take the South Lamberton Rd / Duck Island exit to the right. Keep right at the end of the ramp and follow the road 1/3 mile to a “T” intersection. Turn right and drive along the Delaware River for 3/4 mile to showroom on left. Take 195 west toward Trenton. Rt 195 turns into Rt 29. Take the South Lamberton Rd / Duck Island exit to the right. Keep right at the end of the ramp and follow the road 1/3 mile to a “T” intersection. Turn right and drive along the Delaware River for 3/4 mile to showroom on left. Take 95 North to Rt 1 North. 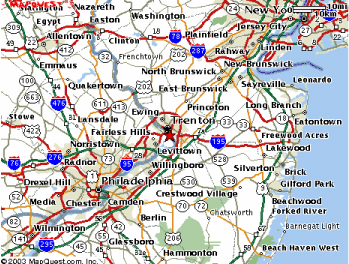 Follow Rt 1 over the Dela-ware River and take the very first exit to the right at the end of the bridge (Rt 29). Follow the exit road out to the traffic light at Rt 29 and turn left onto 29 South. Follow 29 through the tunnel and take the first exit to the right as you exit the tunnel (Lamberton Rd). Showroom is at the bottom of the off ramp on the right. Take Rt 295 North to exit 60. Keep left on the exit ramp and follow Rt 29 toward Trenton. In approximately 1.5 miles take the South Lamberton Rd / Duck Island exit to the right. Keep right at the end of the ramp and follow the road 1/3 mile to a “T” intersection. 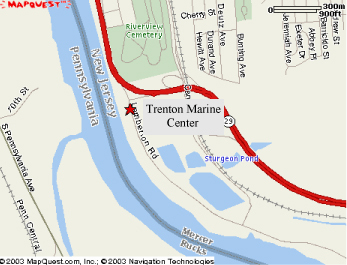 Turn right and drive along the Delaware River for 3/4 mile to showroom on left.